But for you, the busy system system administrator, staying up-to-date on features and fixes is not easy. Start "Following" developments in our product features and fixes and automatically get notified on what matters to you. First, let's review the basics. Just start typing in the search box on the main page. As you type, the most relevant articles start to show up in a suggestion list. Now you can “follow” various categories of special interest to you. 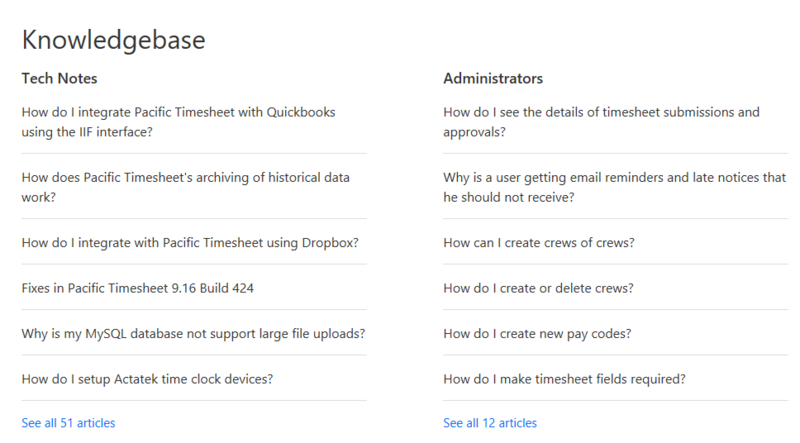 For a Category, such as Tech Notes, you can get an email notice when there is a new tech note or an update to an old one. If you are not a registered user, you just need to register your contact information one time. …just fill in your information and you’re done. Following an important article means you will get an email notice whenever an update to that article is made. 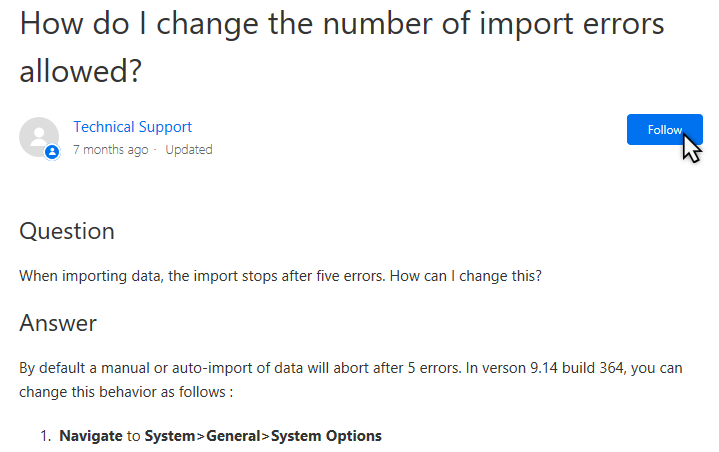 In this article, we detail a new setting that allows you to increase the number of errors for imports or auto-imports before the import is stopped or considered “failed” because of too many errors. If you have a third-party system that is sending data with errors, you probably want to follow this article, add comments or questions to it, and receive updates as it’s modified over time with new tips or additional enhancements. 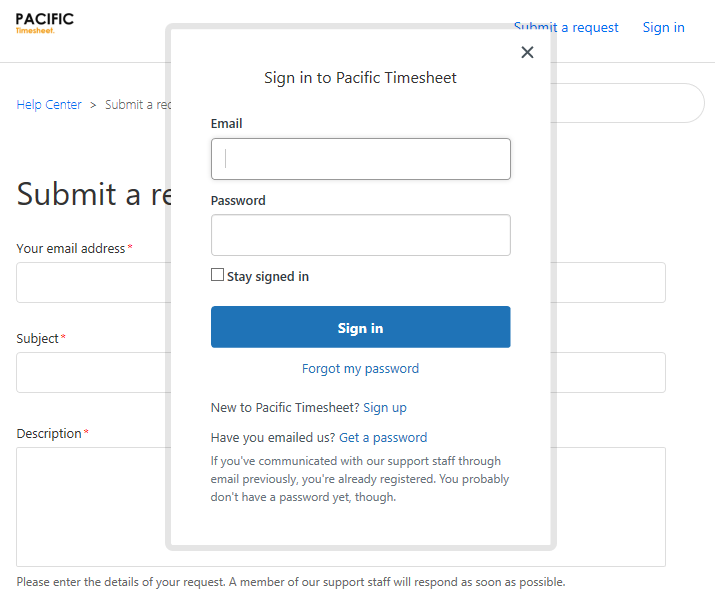 To add comments and questions to help center articles, log in, and then just enter your comments or questions into the comments box and click submit. 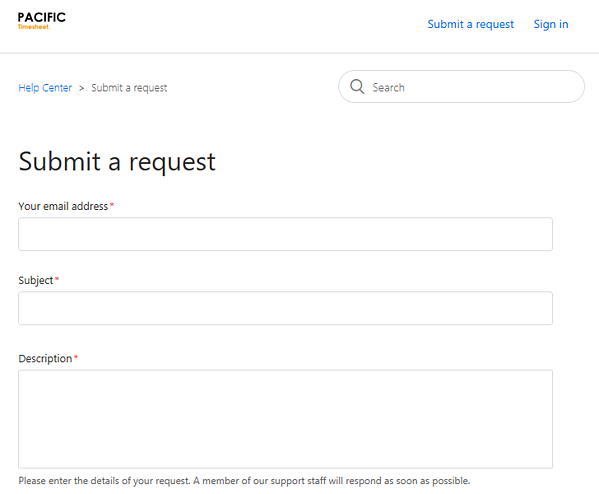 In the upper right, click on Submit a Request to submit a request such as a case, question or product request. You can also attach a relevant screen shot, whether it's an unexpected behavior or a mock-up of a new solution you need. If you have any questions, suggestions or feedback, you can add comments to any articles and we’ll respond with an answer or suggested solution. Just go Help Center now, setup your account, login and get started.